WIIFY - WHAT’S IN IT FOR YOU? Part-ownership of a budding startup through contribution is essentially whats in store for you when you participate in any of our company’s token sale. SIGNUP - You need to signup first via any of the options available, via social media accounts or your Contrib account. 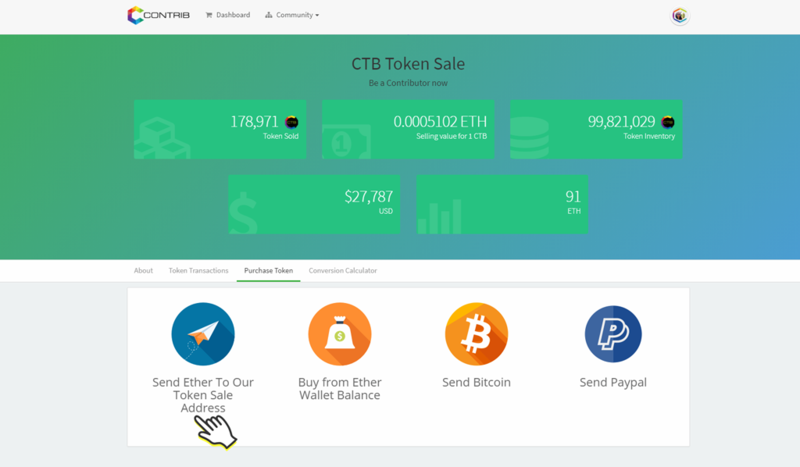 BUY TOKENS - You only need to buy CTB tokens for how much 1 CTB is to USD OR ETH. We currently have four options for you to participate in the token sale. 1. 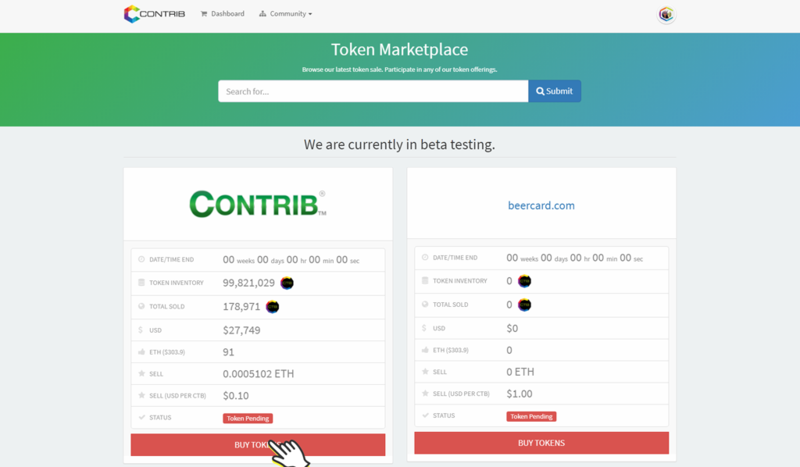 From Dashboard, click Buy Tokens button. 3. Click, Send Ether To Our Token Sale Address. 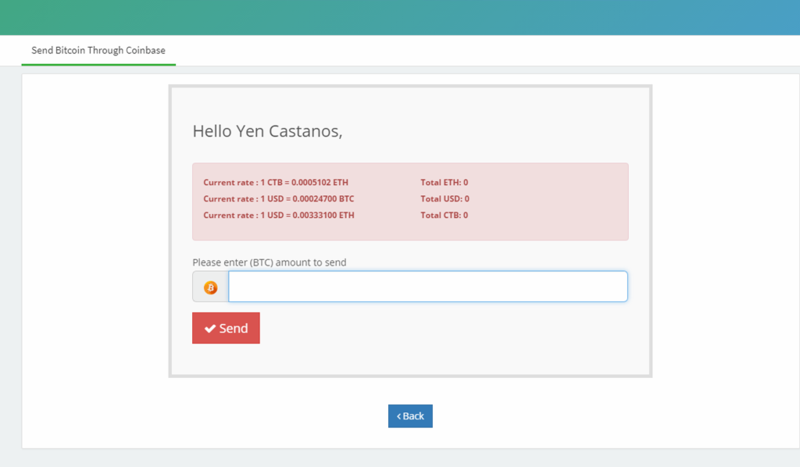 If you already have an ether balance in your Contrib wallet, then you just need to enter the amount of CTB tokens and we will debit it directly. 3. 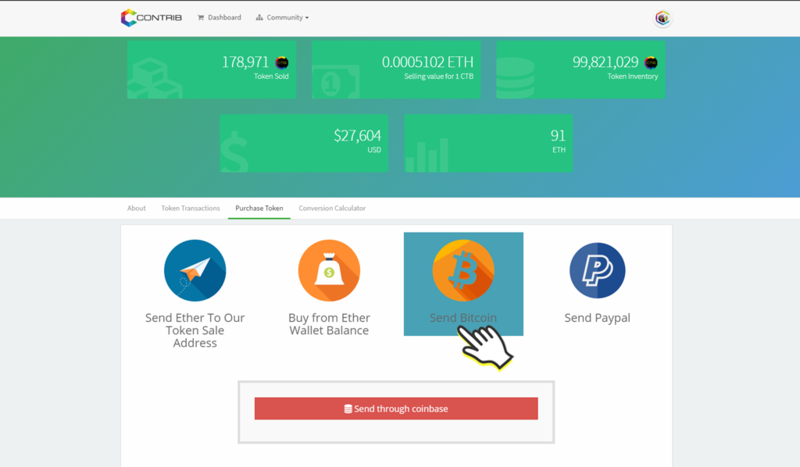 Click, Buy from Ether Wallet Balance. 4. Enter CTB amount and passphrase. 5. Your Transaction Is Verified. Congratulations! 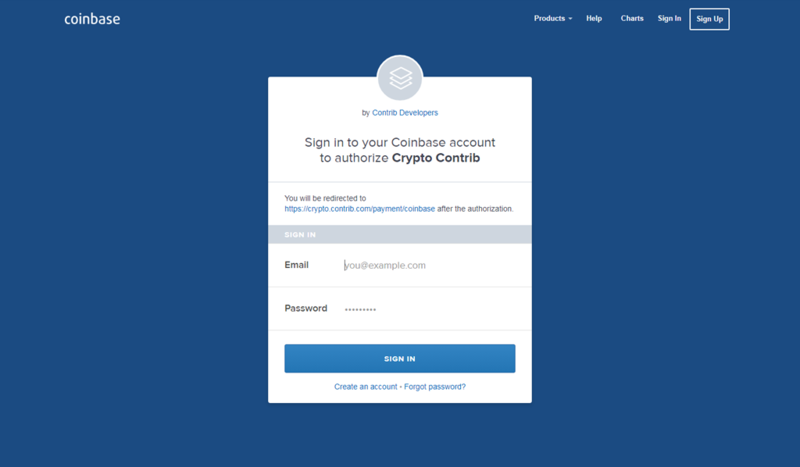 If you have a bitcoin address, you can login or signup via coinbase.com and transfer or authorize our api to withdraw any number of BTC from your Bitcoin account and it will automatically be transferred to your Contrib wallet whatever amount you have sent. 4. Click, Send through coinbase button. 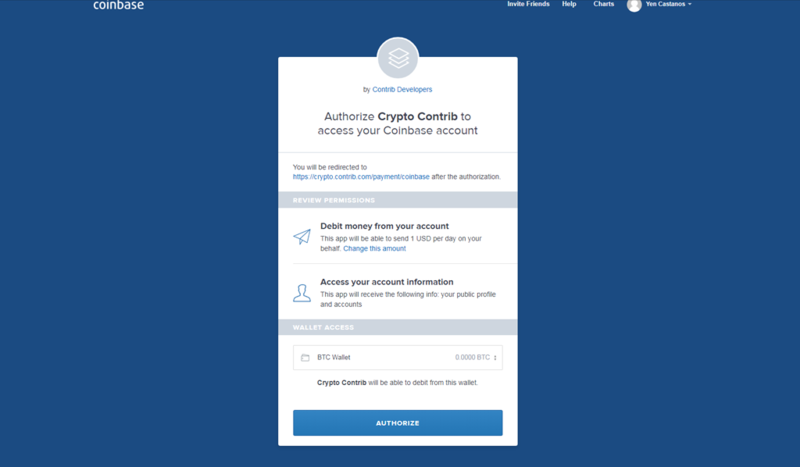 Log in to your coinbase account. 6. 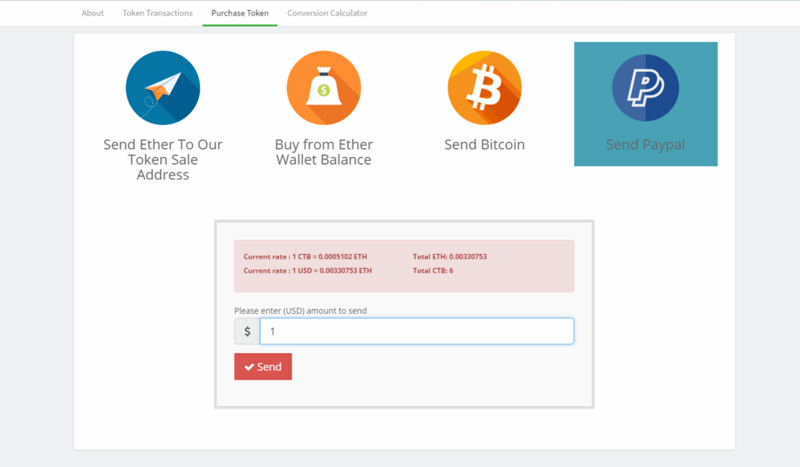 Enter (BTC )amount to send. 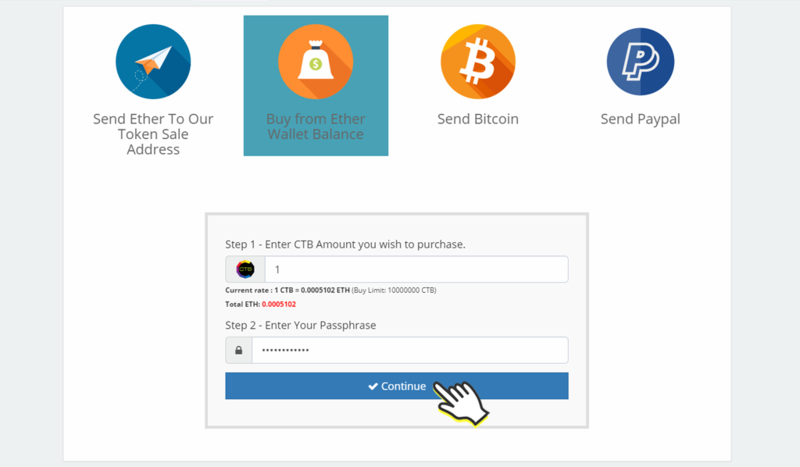 You can buy CTB TOKENS by purchasing through paypal. 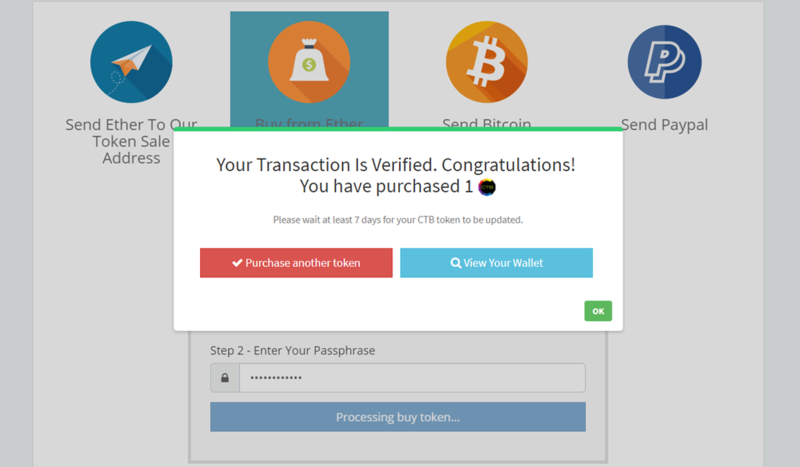 Just enter the amount of USD and CTB tokens will be immediately transferred to your account. 5. 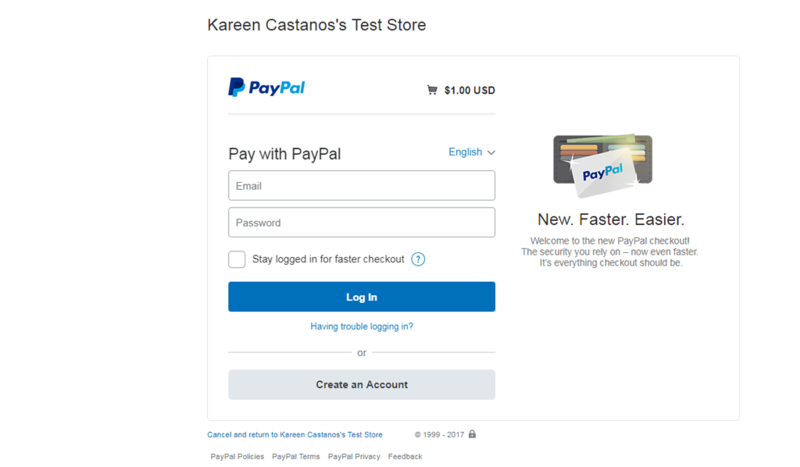 Login to your Paypal account. 7. Your Transaction Is Verified. Congratulations! 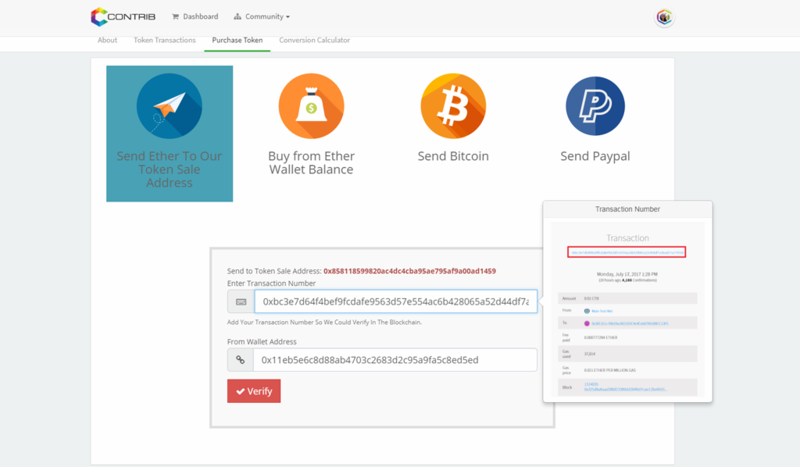 The Ethereum Wallet is a gateway to decentralized applications on the Ethereum blockchain. It allows you to hold and secure ether and other crypto-assets built on Ethereum, as well as write, deploy and use smart contracts. It is the address that holds your ether. a digital ledger in which transactions made in bitcoin or another cryptocurrency are recorded chronologically and publicly. : "we can actually have a look at the blockchain and see evidence of what's going on". The blockchain is an undeniably ingenious invention – the brainchild of a person or group of people known by the pseudonym, Satoshi Nakamoto. But since then, it has evolved into something greater, and the main question every single person is asking is: What is Blockchain? By allowing digital information to be distributed but not copied, blockchain technology created the backbone of a new type of internet. Originally devised for the digital currency, Bitcoin, the tech community is now finding other potential uses for the technology. Bitcoin has been called “digital gold,” and for a good reason. To date, the total value of the currency is close to $9 billion US. And blockchains can make other types of digital value. Like the internet (or your car), you don’t need to know how the blockchain works to use it. However, having a basic knowledge of this new technology shows why it’s considered revolutionary. a digital ledger in which transactions made in bitcoin or another cryptocurrency are recorded chronologically and publicly. : "we can actually have a look at the blockchain and see evidence of what's going on"
VNOC (Virtual Network Operating System) is our venture platform/saas for domains that creates immense value to any digital asset by integrating and wrapping them with our core apps, which includes eShares and Contrib. Our VNOC platform and CONTRIB model utilizes our 22,000 premium URL’s to quickly build, manage and monetize valuable digital assets and align compensation with cash and stakeholdership with community members who contribute value and network growth. CONTRIB will be the leading cryptocurrency platform to accurately and transparently reward a global community of individuals who make verified and measurable contributions with any specific digital assets under VNOC and thus, create a game changing Value Distribution System. With VNOC infrastructure integrated with blockchain and smart contract technology, every contribution in Contrib will be transparently published on the ethereum blockchain for every digital asset. eShares exist to create a dynamic and transparent allocation of digital stake on any organization, either on or off the blockchain. eShares focus is to allow other digital assets to operate a transparent network using a collaborative stakeholder model co-existing with other types of assets. CTB tokens are the deciding factor for real stakeholdership. It essentially commits the approved and verified contribution (Contrib Points) to the blockchain and in turn the member will be awarded CTB tokens. In the Contrib model, the DAN (Decentralized Autonomous Network ) is pushed to the blockchain and VNOC manages all incoming contributions. Only DAN’s published to the blockchain will have corresponding CTB TOKENS. 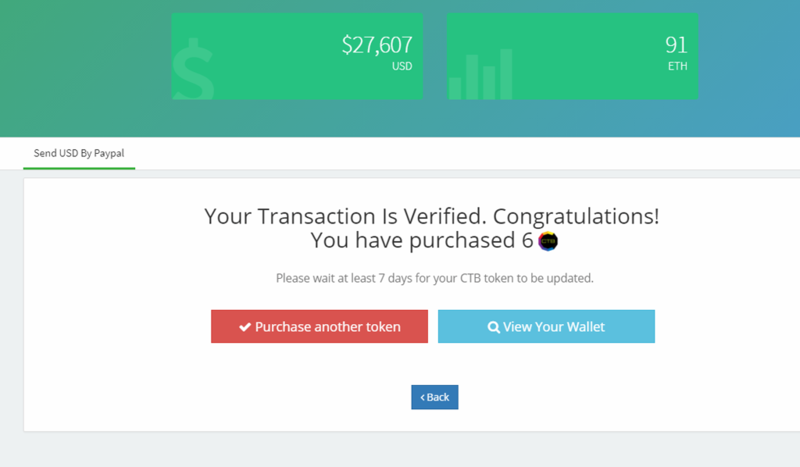 CTB tokens are only awarded once the tasks issued coincide with the award requested, and verified. eShares is a smart “token” Protocol defining how assets and value is created, authenticated, valued, issued, transferred, secured and controlled on our blockchain network. ESH will further be developed to quickly solve the digital asset’s problem of management and allocation of stakeholdership on or off the blockchain. Ethereum is a platform for creation of decentralized applications running on blockchain, through the use of smart contracts. Coined meaning to Contribute via the Contrib platform or its suite of tools. Founding Companies have grossed over $100 million in sales.Recently Build/Sold -URL brokerage Domain Holdings to Flippa/99Design ($ 31 Million in 2014 Sales) CoFounder â€“ Bidtellect- $18 Million Revenues- 2015, $36 Million-2016 est. Computer Science, Cornell University, Ithaca. 12 Years in the Domain Industry. Instrumental in building applications and digital products from the ground up. CEO of Contrib and heads the team in the Philippines. CTO, Development Team Head. Honors, University of the Philippines. 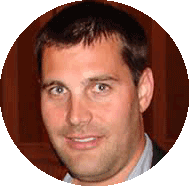 Kareen is responsible for implementing the infrastructure and technology of Globalventure's digital products and now pushing the boundaries of blockchain technology into eShares, Contrib and VNOC. We call our early sale investors, First movers! Participate in our Upcoming Crowdsale. READ THESE TERMS AND CONDITIONS (â€œTermsâ€�) CAREFULLY BEFORE USING THE SERVICES DESCRIBED HEREIN. 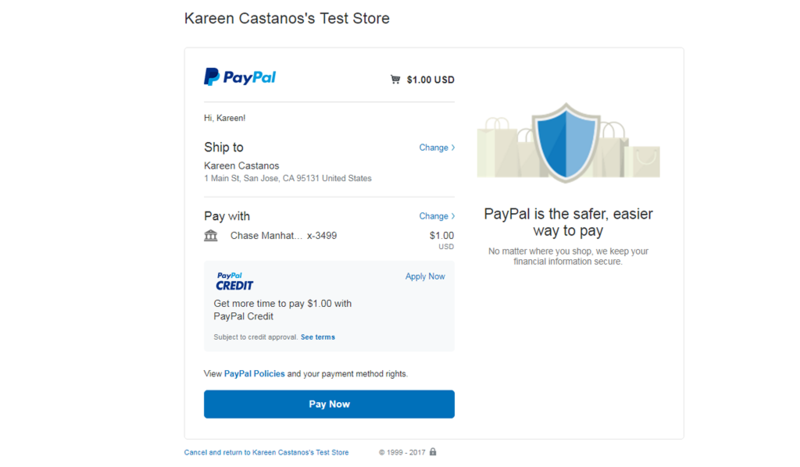 BY UTILIZING THE WEBSITE LOCATED AT http://www.CONTRIB.com (â€œWebsiteâ€�) AND PRODUCTS OFFERED THEREIN, YOU ACKNOWLEDGE THAT YOU HAVE READ THESE TERMS AND CONDITIONS AND THAT YOU AGREE TO BE BOUND BY THEM. 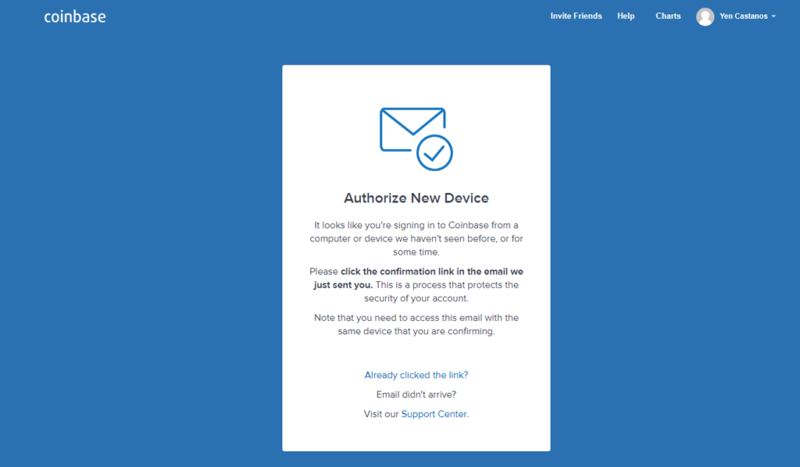 IF YOU DO NOT AGREE TO ALL OF THE TERMS AND CONDITIONS OF THIS AGREEMENT, YOU ARE NOT AN AUTHORIZED USER OF THESE SERVICES AND YOU SHOULD NOT USE THIS WEBSITE NOR ITS PRODUCTS. YOU MAY BE REFERRED TO YOU OR THE ENTITY YOU REPRESENT. (a) â€œCTBâ€� means CONTRIB Token as set out in paragraph 2.3. (b) â€œCONTRIB IPâ€� has the meaning, set out in paragraph 12.1. (c) â€œDigital Assetâ€� are tokens, available in particular public blockchain network, in this case Ether. (e) â€œEthereumâ€� shall mean an open-source, public, blockchain-based distributed computing platform featuring smart contract (scripting) functionality. (f) â€œEuropean Economic Areaâ€� or â€œEEAâ€� shall mean all EU countries and in addition Iceland, Liechtenstein and Norway. (g) â€œFoundersâ€� shall have the meaning, set out in paragraph 4.3(b). (j) â€œPlatformâ€� shall have the meaning, set out in paragraph 2.1. (k) â€œProjectâ€� shall have the meaning, set out in section 2. (l) â€œRestricted Areasâ€� shall have the meaning, set out in paragraph 6.1. (m) â€œTermsâ€� means these General Terms and Conditions. (n) â€œThird-party Walletâ€� is a solution, enabling users to store their Digital Assets and CTB. (o) â€œTotal CTB Numberâ€� shall have the meaning, set out in paragraph 4.2. (p) â€œVATâ€� means value added tax of relevant jurisdiction, if applicable. 2.1 The aim of CONTRIB is to develop and deploy a collaboration platform for new projects, where experts and companies will provide services to the projects and these projects will have a possibility to get in touch with the experts for advice and attract support from contributors and early adopters worldwide (â€œPlatformâ€�). 2.2 CONTRIBâ€™s goal is to continue to develop the software Platform and expand geographically in order to have the ability to vet the projects and teams in real life. (a) distribution of CTB in accordance with the terms set out herein will enable CONTRIB to secure sufficient resources for the development and deployment of the Platform, (b) CTB shall be used as utility tokens to access the Platform. Projects will be required to pay the fee for CONTRIB services to CONTRIB 4 in CTB; experts and advisors will be requested to deliver some CTB in order to provide their services through the Platform, (c) CTB shall be the predominant means of payment for the Platform services, (d) CTB may be, in accordance with the development platform, given certain rights within the decision-making process on the Platform, whereas such rights shall not include any legal governance rights of CONTRIB, such as voting in the annual general meeting, other statutory rights, rights to dividends or profits and similar. 2.4 CONTRIB is entitled to charge fees for using the Platform and decision on the fees is in CONTRIBâ€™s discretion. (a) charge each project a certain amount of CTB, (b) charge project, which conduct a token sale, a percentage of that project tokens, (c) charge a transaction fee for payments among stakeholders on the Platform executed in CTB. 4.1 Contributions, given to CONTRIB in exchange for CTB shall be considered as financial contribution. Contribution can be done in Digital Assets. Failure to follow the instructions on the Website may limit, delay, or prevent a user from donating. Users understand and accept that the they make a contribution into a smart contract system on Ethereum and receive CTB in exchange. 4.2 There will be in total 1,000,000,000 (one billion) CTB tokens available (â€œTotal CTB Numberâ€�). CONTRIB shall not create additional CTB tokens at any time after the initial token release. 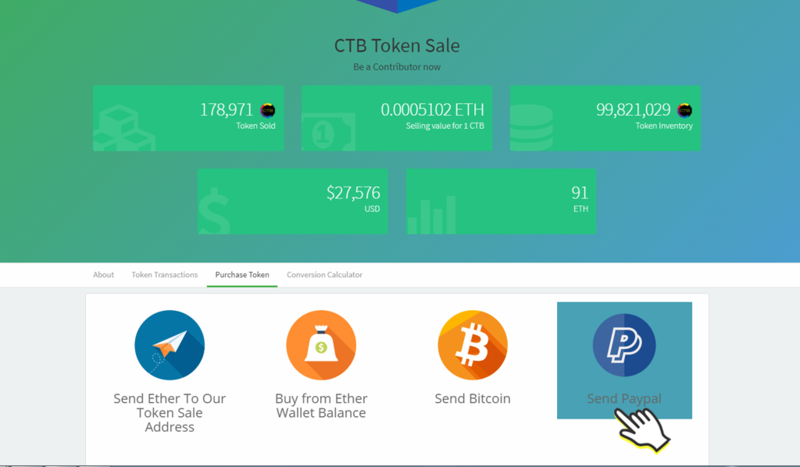 (a) 22% of the Total CTB Number shall be distributed in accordance with paragraph 4.7, (b) 22% of the Total CTB Number shall belong to the CONTRIB team and advisors, namely to the founders Hunter Folkening and Luca Folkening(â€œFoundersâ€�), and other team members and advisors, designated by them, as remuneration for services provided for the benefit of CONTRIB before the distribution, (c) 22% of the Total CTB Number shall belong to GV, LLC as reimbursement for use of office space and associated infrastructure, sharing of know-how and technology, (d) 22% of the Total CTB Number shall belong to CONTRIB, LLC as consideration for its assets, including codebase, brand, userbase, technology, back-end and know-how, (e) 2% of the Total CTB Number shall be distributed to Hi.org for ecosystem deployment and development (f) 10% of the Total CTB Number shall be distributed in Escrow for future distribution to Members and Partners 4.4 CONTRIB reserves a right to an emergency stop functionality to stop the distribution process. Use of this functionality shall remain in discretion of CONTRIB and shall only be used in limited situations, such as, but not limited to: i) serious security issue detected, ii) serious network performance issue, depriving all users of equal treatment, iii) any type of material attack on the CTB, the Platform, Website or Ethereum network. 4.5 Users, wishing to participate in the token distribution, will be obliged to send their Digital Assets for acquisition of CTB from an Ethereum address wallet, for which they control the private key, whereas such address shall not belong to a Digital Assets exchange. Users will receive their CTB to the same address, from where they sent the Digital Assets. 4.6 The funds raised from the CTB distribution will belong to CONTRIB and will be used exclusively for the development and running of the Project, as defined above. (a) Private distribution For the purpose of covering early costs of the Project, such as, but not limited to costs of establishment of CONTRIB entities and basic infrastructure, public relations, marketing and legal advisory, CONTRIB will be offering a limited number (theoretically maximum 22% of Total CTB Number) of CTB to invited users. Such distribution shall be effected between August 14, 2017 and August 30 th 2017. (b) Public distribution CONTRIB shall through the Website offer 22% of Total CTB Number, reduced for a number of CTB distributed in accordance with indent (a) of this paragraph, publicly to its users. This stage is envisaged to start on August 30 th 2017 and end on 14th of August 2017. 4.8 CONTRIB reserves a right to change the dates, set out in the previous paragraph 4.7 at any given time due to technical or organisational reasons, without any duty to provide explanation to the users or the public. Any such changes will be published on the Website. 4.9 In order for the public distribution in accordance with paragraph 4.7(b) to be successful, at least 5000 ETH have to be paid in due time in accordance with the terms set out herein (â€œMinimum ThrCTBoldâ€�). If Minimum ThrCTBold is not achieved, then all paid in Digital Assets shall be returned to the users, which paid them in, and the users shall not receive any CTB. 4.10 The distribution of the CTB tokens is limited to a contribution of 60000 ETH (â€œMaximum ThrCTBoldâ€�). (a) Distribution shall be automatically effected by a smart contract, deployed to Ethereum public blockchain, (b) Users shall send their Digital Assets to the smart contract address, (c) When (i) the time of the offering, defined in paragraph 4.7(b), is over and Minimum ThrCTBold has been achieved; or (ii) Maximum ThrCTBold has been achieved, whichever occurs first, the tokens are sent to each participating userâ€™s wallet address. (d) If the time of the offering, defined in paragraph 4.7(b), is over and Minimum ThrCTBold has not been achieved, the Digital Assets, paid into the smart contract, will be returned to the contributors within 3 business days. 4.12 Tokens, distributed to the Founders in accordance with paragraph 4.3(b) shall be vested to the Founders with a 6-month cliff starting from the end of distribution (meaning no vesting for that time), and then followed by monthly linear vesting until fully vested after 24 months from the end of the distribution. 4.14 CTB distribution will be offered only through the Website. No third-party website or a different provider is not allowed and has not been in any way supported, engaged, authorized or endorsed by CONTRIB and have no relationship in any way with CONTRIB. 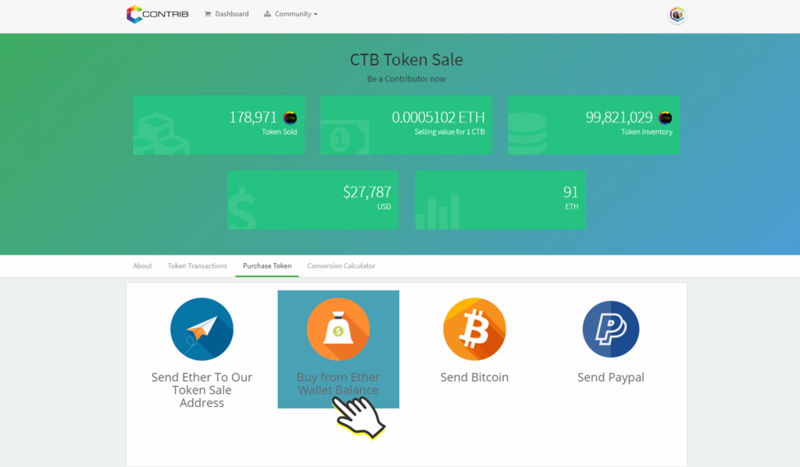 The only official and authorised website and CTB token distribution provider is the Website. You must ensure that the URL of your web browser indicates that it is using a hypertext transport protocol secure connection (â€œhttpsâ€�) and that the domain name is correct. CONTRIB may partner with third party service 8 provider to enable easier acquisition of CTB with digital assets other than Ether. 4.15 Safe for the provision of paragraph 4.11(d), all contributions to CONTRIB in exchange for CTB tokens are final and non-refundable. 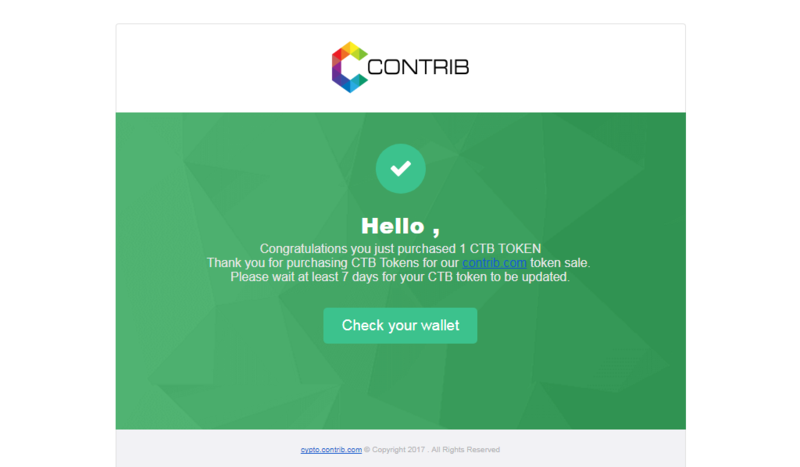 By participating in the CTB token distribution, you acknowledge that CONTRIB is not required to provide a refund for any reason, and that you will not receive money or other compensation in lieu of a refund. 4.16 The CTB is not a consumer product and its users accepts explicitly and agree to it that they are not covered by the consumer protection regulation of any jurisdiction. 4.17 Title to, and risk of loss of, CTB tokens, delivered by smart contract to the users from CONTRIB, passes to the users in the British Virgin Islands. 5.1 You understand that Digital Assets, CTB, blockchain technology, Ethereum, Ether and other associated and related technologies are new and untested and outside of CONTRIBâ€™s exclusive control and adverse changes in market forces or the technology, broadly construed, will excuse CONTRIBâ€™s performance under this agreement. (a) Legal risks regarding securities regulations There is a risk that in some jurisdictions the CTB and other Digital Assets might be considered to be a security, or that it might be considered to be a security in the future. CONTRIB does not give warranties or guarantees that CTB tokens are not a security in all jurisdictions. Each user of CTB tokens shall bear its own legal or financial consequences of CTB tokens being considered a security in their respective jurisdiction. Every user is bound to check if acquisition and disposal of CTB tokens is legal in its jurisdiction, and by accepting these Terms each user undertakes not to use CTB tokens should their use not be legal in the relevant jurisdiction. If a user establishes that the use of CTB under these Terms is not legal in its jurisdiction, it should not use the CTB, not acquire them and should immediately stop using or possessing them if such case arises. Acquiring cryptographic tokens in possession and exchanging them for other cryptographic tokens will most likely continue to be scrutinized by various regulatory bodies around the world, which 9 has so far given mixed reactions and regulatory impact. The legal ability of CONTRIB to provide CTB tokens and the Platform in some jurisdictions may be eliminated by future regulation or legal actions. In the event, it turns out with a high degree certainty that CTB tokens are not legal in certain jurisdiction, CONTRIB will either a) cease operations in that jurisdiction, or b) adjust CTB tokens and the Platform in a way to comply with the regulation should that be possible and viable. (b) Risks associated with Ethereum CTB tokens are based on Ethereum blockchain. As such, any malfunction, unintended function or unexpected functioning of the Ethereum protocol may cause the CTB tokens to malfunction or function in an unexpected or unintended manner. Ether, the native unit of account of the Ethereum may itself lose value in ways similar to CTB tokens, and also other ways. More information about the Ethereum is available at http://www.ethereum.org (c) Risk of unfavourable regulatory action in one or more jurisdictions Blockchain technologies have been the subject of scrutiny by various regulatory bodies around the world. The functioning of the Ethereum network and associated blockchain networks and Digital Assets and CTB tokens could be impacted by one or more regulatory inquiries or actions, including but not limited to restrictions on the use or possession of digital tokens like CTB tokens, which could impede or limit their existence, permissibility of their use and possession, and their value. (d) Risk of theft and hacking Hackers or other groups or organizations may attempt to interfere with your Third-party Wallet, the Website or the availability of CTB tokens and Digital Assets in any number of ways, including without limitation denial of service attacks, Sybil attacks, spoofing, smurfing, malware attacks, or consensus-based attacks. (e) Risk of security weaknesses in the Website and CTB tokens source code or any associated software and/or infrastructure There is a risk that the Website and CTB tokens may unintentionally include weaknesses or bugs in the source code interfering with the use of or causing the loss of CTB tokens. (f) Risk of weaknesses or exploitable breakthroughs in the field of cryptography Advances in cryptography, or technical advances such as the development of quantum computers, could present risks to 10 cryptocurrencies, Ethereum, CTB tokens, the Platform, which could result in the theft or loss of CTB tokens. (g) Risk of mining attacks As with other decentralized cryptocurrencies, Ethereum blockchain, which is used for the CTB tokens, is susceptible to mining attacks, including but not limited to double-spend attacks, majority mining power attacks, â€œselfish-miningâ€� attacks, and race condition attacks. Any successful attacks present a risk to the CTB tokens, expected proper execution and sequencing of CTB tokens, and expected proper execution and sequencing of Ethereum contract computations in general. Despite the efforts of CONTRIB and Ethereum Foundation, the risk of known or novel mining attacks exists. Mining Attacks, as described above, may also target other blockchain networks, with which the CTB tokens interact with and consequently the CTB tokens may be impacted also in that way to the extent, described above. (h) Risk of low or no liquidity Even though there are currently online service available, which enable possibility of exchange of cryptographic tokens between themselves, and also, some of them enable exchange of cryptographic tokens for fiat money, there are no warranties and/or guarantees given that CTB tokens will be listed or made available for exchange for other cryptographic tokens and/or fiat money, and no guarantees are given whatsoever with the capacity (volume) of such potential exchange. It shall be explicitly cautioned, that such exchange, if any, might be subject to poorly-understood regulatory oversight, and CONTRIB does not give any warranties in regard to any exchange services providers. Users might be exposed to fraud and failure. In any case, CONTRIB will not enable exchange of CTB tokens for other cryptographic tokens or for fiat currency. User may not at any given time be able to acquire or dispose of its CTB tokens due to lack of liquidity. (i) Risk of loss of value Value of CTB tokens may fluctuate and their users might suffer loss in value of such acquired tokens. 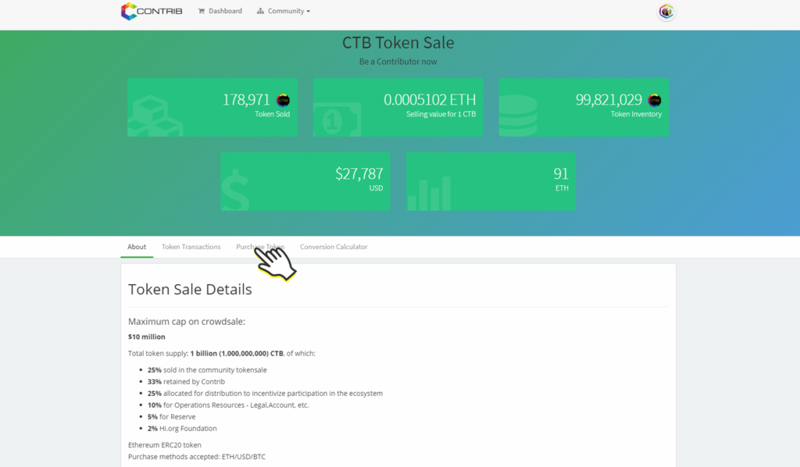 There might be different reasons that would cause unfavourable fluctuations of the value of the CTB tokens. (j) Risk of uninsured losses CTB tokens are unlike bank accounts or accounts at some other financial institutions entirely uninsured. (k) Risk of malfunction in the Ethereum network or any other blockchain 11 It is possible that the Ethereum network or any other network, to which the CTB tokens are interacting with, malfunctions in an unfavourable way, including but not limited to one that results in the loss of CTB tokens (l) Internet transmission risks You acknowledge that there are risks associated with using the CTB tokens including, but not limited to, the failure of hardware, software, and Internet connections. You acknowledge that CONTRIB shall not be responsible for any communication failures, disruptions, errors, distortions or delays you may experience when using the Website and CTB tokens, howsoever caused. (m) Unanticipated risks Cryptocurrencies and blockchains are new and untested technology. In addition to the risks set forth here, there are risks that CONTRIB cannot foresee and it is unreasonable to believe that such risks could have been foreseeable. Risks may further materialize as unanticipated. (n) Insufficient interest in CONTRIB, the Platform and CTB tokens It is possible that CONTRIB, CTB or Platform will not be used by a large number of individuals, businesses and other organisations and that there will be limited public interest in the creation and development of its functionalities. Such a lack of interest could impact the development of the Platform. (o) CTB and the Platform, as developed, may not meet your expectations The Platform is currently under continual development and may undergo significant changes. Your expectations regarding the form and functionality of the Platform and CTB tokens may not be met upon release of new Website, deployment of the Platform, additional products and services for any number of reasons, including a change in the design and implementation plans and execution of the implementation of CTB. (p) The Platform may never be completed or released The Platform, described in section 2, may never finished and bug free, even though CONTRIB will make reasonable efforts to complete and deploy it to its full vision and timeframes. 5.3 The CTB tokens and the Platform are provided â€œas isâ€�. We and our affiliates and licensors make no representations or warranties of any kind, whether express, implied, statutory or otherwise regarding the CTB tokens, including any warranty that the CTB tokens will be uninterrupted, free or free of harmful components, secure or not otherwise lost or damaged. Except to the extent prohibited by law, we and our affiliates and licensors disclaim all warranties, including any implied warranties of merchantability, satisfactory quality, fitness for a particular purpose, non-infringement, or quiet enjoyment, and any warranties arising out of any course of dealing or usage of trade. 6.1 The Website, the Platform and CTB tokens are not offered for use to natural and legal persons, having their habitual residence or their seat of incorporation in the following countries: i) the United States of America, and ii) British Virgin Islands (â€œRestricted Areasâ€�). 6.3 CONTRIB reserves its right to decide in its own discretion to adopt reasonable organisational and technical measures to assure that the Website and CTB tokens are not available to persons from paragraph 6.1. Due to the CTB tokens being offered on the Internet (meaning both the world-wide web and the Ethereum blockchain) CONTRIB and users understand that there is a possibility that there might be a certain â€œflow backâ€� of CTB tokens to natural and legal persons with their habitual residence or seat of incorporation located in the Restricted Areas. CONTRIB consequently explicitly prohibits persons from paragraph 6.1 from using the CTB tokens. CONTRIB shall not be held liable for any legal or monetary consequence arising of such use. Such persons using CTB tokens despite the prohibition shall on first request indemnify and hold harmless CONTRIB from any legal or monetary consequence arising of their breach of the terms as described in this paragraph 6.3. Any person, matching the criteria from paragraph 6.1, shall immediately stop using CTB tokens and leave the Website. 8.4 You will defend, indemnify, and hold harmless us, our affiliates and licensors, and each of their respective employees, officers, directors, and representatives from and against any claims, damages, losses, liabilities, costs, and expenses (including reasonable attorney fees) arising out of or relating to any third-party claim concerning this Agreement or your use of the Website, the Platform and CTB tokens contrary to these Terms. If we or our affiliates are obligated to respond to a third-party subpoena or other compulsory legal order or process described above, you will also reimburse us for reasonable attorney fees, as well as our employeesâ€™ and contractorsâ€™ time and materials spent responding to the third-party subpoena or other compulsory legal order or process at reasonable hourly rates. 10.2 You will provide to us, immediately upon our notice of request, information that we, in our sole discretion, deem to be required to maintain compliance with any law, regulation or policy. Such documents include, but are not limited to, passports, driverâ€™s licenses, utility bills, photographs of you, government identification cards, or sworn statements. 10.7 Throughout this policy, we use the term â€œpersonal informationâ€� to describe information that can be associated with a specific person and can be used to identify that person. We do not consider personal information to include information that has been anonymized so that it does not identify a specific user. procedural safeguards are designed to comply with applicable laws and regulations. Data may from time to time be stored also in other locations. (a) our banking partners; (b) companies that we plan to merge with or be acquired by (should such a combination occur, we will require that the newly combined entity follow these terms with respect to your personal information, and you would as well receive prior notice of any change in applicable policy); (c) 3rd party identification services providers for fraud prevention purposes; (d) law enforcement, government officials, or other third parties when i) we are compelled to do so by a subpoena, court order, or similar legal procedure; or ii) we believe in good faith that the disclosure of personal information is necessary to prevent physical harm or financial loss, to report suspected illegal activity or to investigate violations of our Terms; (e) other third parties only with your prior consent or direction to do so. CONTRIB will not provide your personal information to any other CONTRIB and Platform users without your consent or direction. or patents based thereon. You may not use any of our intellectual property for any reason, except with our express, prior, written consent. 14.9 â€œCONTRIBâ€� refers to the Project as a whole, including any or all of the entities, being used by CONTRIB, incorporated in USA, Sweden and Slovenia, whereas the first one acts as the jurisdiction for execution of a smart contract for distribution of CTB in accordance with section 4; and the following two act as a services providers or operating companies for the Project. 14.10 All disputes or claims arising out of or in connection with these Terms including disputes relating to its validity, breach, termination or nullity, and any disputes or claims arising out of or in connection with the use of Website, the Project and CTB tokens shall be finally settled under the Rules of Arbitration of the International Arbitral Centre of the Austrian Federal Economic Chamber in Vienna (Vienna Rules) by three arbitrators appointed in accordance with the said Rules. The applicable law shall be the law of the Republic of Slovenia. The language to be used in the arbitral proceedings shall be English. paragraph 14.11, shall be rejected immediately by the tribunal as premature.